God Doesn’t Love Us All the Same is the touching story about Janine Harris who never really thought about homeless people. She barely even notices them as she passes them by on her way to work in downtown Washington D.C. All Janine can focus on is the shambles of her own young life, afraid that she will never be able to get past the painful mistakes she has made. However, all of that changes on a snowy evening in December when Janine unexpectedly finds herself alone with Vera, an old, homeless woman who seems to need her help. Now Janine wants to know what could have possibly happened to Vera to leave her so broken and alone. 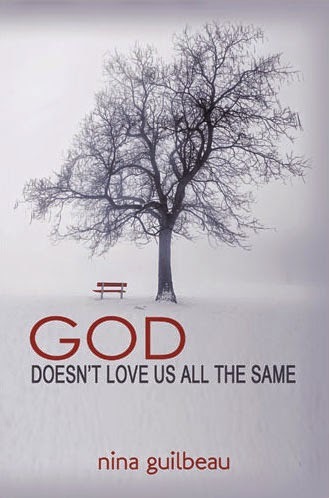 God Doesn’t Love Us All the Same is available as an e-book and paperback at Amazon, Barnes & Noble, and IndieBound. To win a copy of God Doesn’t Love Us All the Same please enter using the Rafflecopter form at the bottom of this post. The giveaway contest closes this Friday, October 24th at 12:00 AM EST. We will announce the winner the same day in the Rafflecopter widget. Good luck! Nina Guilbeau is the Siblings Editor for BellaOnline The Voice of Women and writes weekly family articles for online magazines. Her e-book, Birth Order and Parenting, is a popular pick with students studying the Alfred Adler birth order theory. She is a member of the Florida Writer's Association and the author of women's fiction novels Too Many Sisters and Too Many Secrets. A winner of the Royal Palm Literary Award for her God Doesn't Love Us All the Same manuscript, Nina's work has been published in the short story anthologies From Our Family to Yours and Chicken Soup for the Soul: The Magic of Mothers and Daughters. An excerpt from upcoming novel Being Non-Famous was published in the Orlando Sentinel as a Father's Day tribute. WOW: This is one of my favorite questions, so let's start with what your current self would like to tell the younger version of you! What would the mature Nina (the published author) want to say to the younger Nina? Nina: As far as being an author, I would tell myself how important is to focus on only a few specific writing and marketing goals at one time. There is so much information available for writers that what may be a great idea for some, only serves as a distraction for others. Taking my own advice wouldn’t mean I would close myself off to new and exciting ideas, but it would serve more to remind me not to cloud my vision by trying too many concepts at once. WOW: Speaking of trying too many things at once, doesn't it seem we always have more than one project going at a time? That brings me to my next question about what we can expect to see from you next? Nina: I have the upcoming release of book 3 in my Sisters’ Trilogy and I’m also focusing on my new role as the video book review hostess for Juania Books. I’ve loved working behind the scenes, but I’m (nervously) looking forward to being in front of the camera! WOW: I can see how being in front of the camera would be nerve wracking. I get all worked up about having my picture taken, I can't even imagine what you'll be going through. You certainly have the confidence to do it and do it well! Congratulations on such exciting future projects! But then again, you've got experience with an audience, don't you? Tell readers a little something they may not know about you (wink wink)! Nina: That I also sing! I’ve done many shows as a singer. WOW: You've really accomplished a lot - WOW! What would you do differently if you had a chance? Nina: I would start writing earlier in my life. I’ve always had lots of story ideas, but I never thought too seriously about being a writer. I’m enjoying the journey, but I’m definitely a late bloomer! WOW: That's where I think writer's groups come in handy. Sometimes it's those friendly pushes we need to help us get out there and do it! 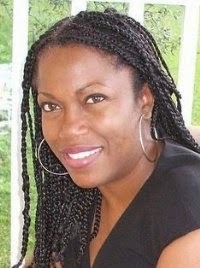 What are your thoughts about writer's groups and book clubs Nina? Nina: I love them both! Writing is such a solitary activity that sharing time with a good group of supportive writers is always inspiring! And I really enjoy book clubs, both as a reader and when I’m invited as a guest author. I’m always interested in hearing readers’ thoughtful character analysis of my own characters. It is really amazing to learn how my stories may have affected them and that’s especially true for my novel God Doesn’t Love Us All the Same. WOW: I love how you embrace feedback, but isn't it scary at the same time? How do you deal with negative feedback or a negative review of your work? Or worse...rejection? Nina: Rejection in a bad review or otherwise is always a disappointment. However, I try to take what I can from it to make me a better writer and leave the rest behind. I remind myself that while opinions are not right or wrong, they can be right or wrong for me. I know that if I look at the reviews for literary classics, critically acclaimed or commercially successful novels and even my own favorite books, I will find plenty of bad and even harsh reviews. Reading a few of those is one way to remind myself that pleasing everyone is not an option! WOW: Don't we all wish we could please all of the people all of the time? Even the greatest authors have been dealt the difficult blows of rejection and negative feedback, but I'm sure it wasn't easy for them either. If you had to pick just one author as your favorite, who would you choose? Nina: My favorite author is John Sandford because I love to read suspense, thriller novels. I’ve read all of his books and I always patiently await his next release. I especially like the “Prey” series because of the super flawed, but always interesting, main character Lucas Davenport. WOW: Great choice and reasoning for authors Nina and aren't you glad some of his books were turned into movies! That leads me right into the final question, if your books were turned into movies, what music would you want played as the theme or during the opening/closing credits? WOW: Thank you for choosing WOW! and allowing me this opportunity to chat with you. I'm excited about your tour and appreciate the opportunity to work together! "The Power of the Review(er)" is today's hot topic as Nina Guilbeau visits Choices during her book blog tour for God Doesn't Love Us All the Same. Nina Guilbeau makes a stop at All Things Audry to discuss "Birth Order Theory" as well as her fabulous book God Doesn't Love Us All the Same. Nina has also offered a copy of her book for a giveaway. This is a blog stop you can't afford to miss! Join Nina Guilbeau as she stops at Romance Junkies for an insightful interview about herself and her book God Doesn't Love Us All the Same. Join author Nina Guilbeau with an insightful guest post on the topic of ways to help those in need. Nina has also graciously offered a copy of her book God Doesn't Love Us All the Same for a giveaway. This is a blog stop you can't afford to miss! Join Nina Guilbeau as she visits Shelf Full of Books with a guest post about Keeping Family Connections Strong and provides insight into her latest book God Doesn't Love Us All the Same. Nina Guilbeau, author of God Doesn't Love Us All the Same visits the Lit Ladies with a guest post about Creating Book Clubs. Nina has also graciously provided an ebook copy of her book for one lucky winner of a giveaway. Good luck! Popular author Nina Guilbeau shares her latest book God Doesn't Love Us All the Same and also gives readers he thoughts on Cyber Book Clubs vs. Brick and Mortar. Join Nina Guilbeau as she visits I'd So Rather Be Reading with a guest post about books vs movies and shares information about her latest project God Doesn't Love Us All the Same. Join popular author Nina Guilbeau as as talks about "Working with the Homeless" to readers of Mari McCarthy's Create Write Now. Learn more about Nina and her latest book God Doesn't Love Us All the Same. Nina has graciously offered a giveaway copy for one lucky reader as well! This is a blog stop no one should miss! Crystal Otto reviews Nina Guilbeau's God Doesn't Love Us All the Same and offers readers an opportunity to win their own copy in a giveaway of this fabulous fiction story! Join Nina Guilbeau as she speaks to readers of Words, Crazy Words about "Genre Confusion" and offers a copy of God Doesn't Love Us All the Same for one lucky reader to win as part of a giveaway! Get in on the giveaway for Nina Guilbeau's God Doesn't Love Us All the Same and hear from Nina on the topic of "Character Inspirations" as she visits with Sioux's Page readers! Author of God Doesn't Love Us All the Same, Nina Guilbeau makes a stop at Writing Truth as she tells Jorja Davis more about what and who inspired her to become a writer and specifically how God Doesn't Love Us All the Same came to be! Enter to win a copy of God Doesn’t Love Us All the Same by Nina Guilbeau! Just fill out the Rafflecopter form below. We will announce the winner in the Rafflecopter widget this Friday, October 24th! I agree with the thought about starting with writing earlier. I've been playing with it for decades and just recently (at age 58) got serious. Good luck with your writing Jeanne Felfe. What they say really is true - better late than never! (Reposting) Thank you ImmortalDiva! I agree -The graphic designer did a great job on the cover. This book sounds very interesting and I'd love to find out what it says. Thank you,Angela! I hope you get a chance to read it.Thank you for the well wishes on this tour. It's my first one so I'm excited! Hi Denise, I hope you get a chance to read the book. I've been contacted by readers who were really touched by the story of Vera, the main character. Thank you Sherrey and good luck on the giveaway!